Until now data virtualization servers have focused on making big data processing easy. But now data virtualization is extending its architecture to take on the massively parallel architecture of ultra-fast big data processing. 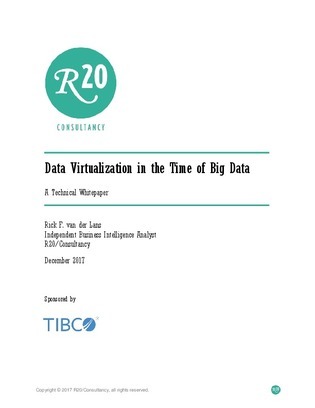 In this white paper from R20/Consultancy, discover the capabilities of TIBCO’s data virtualization architecture, which incorporates both parallel processing and parallel pushdown.